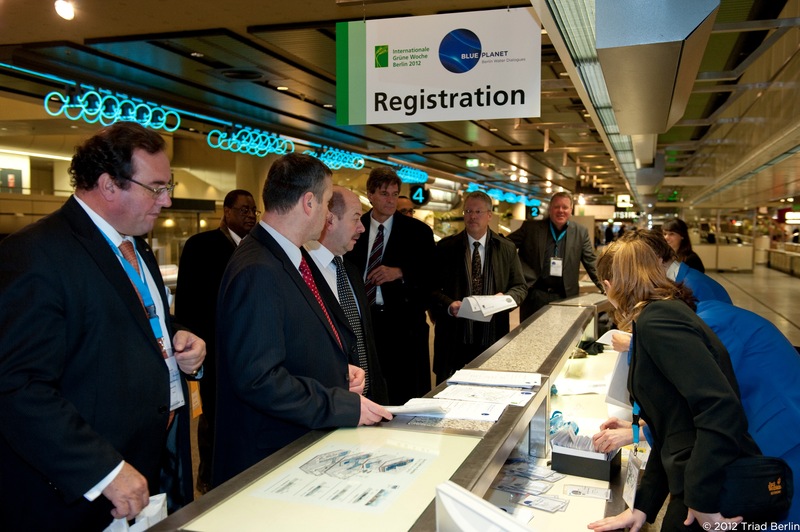 The second Berlin Water Dialogues took place from 19 to 21 January 2012 and formed part of the Berlin trade fair “Internationale Grüne Woche Berlin”, the biggest trade fair of its kind, and its large opening event, the “Global Forum for Food and Agriculture”. By choosing the Grüne Woche and the Global Forum as a framework the circle of participants expanded and thus their number (150). 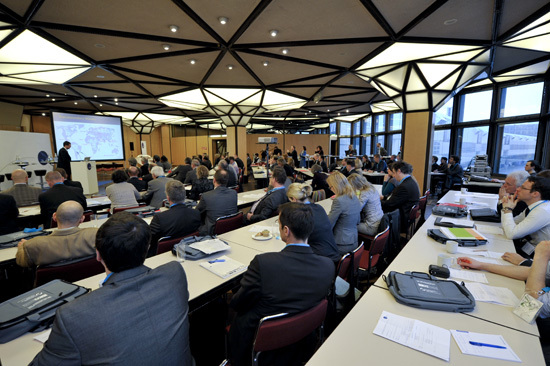 Further the circle of cooperation partners expanded: ATB Leibniz Institut für Agrartechnik Potsdam-Borniem e.V., GIZ, Humboldt-Universität Berlin, PIK Potsdam-Institut für Klimafolgenforschung, Kompetenzzentrum Wasser Berlin and the WWF. 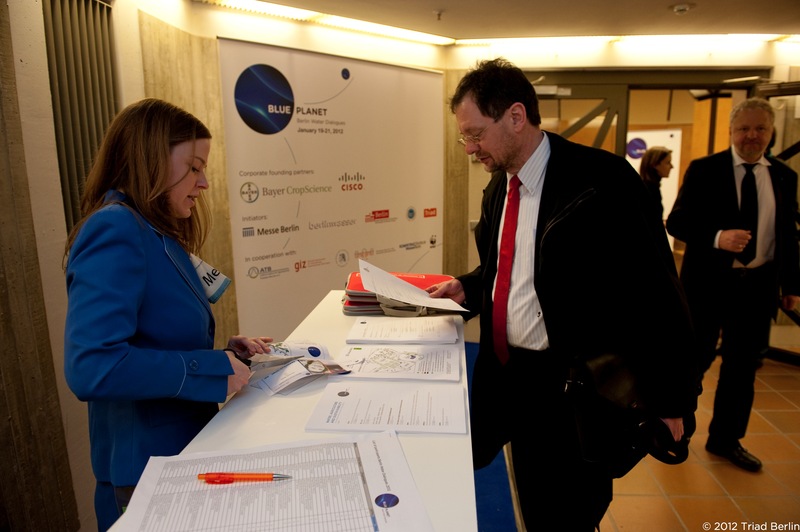 Bayer CropScience AG and CISCO Systems supported the event. 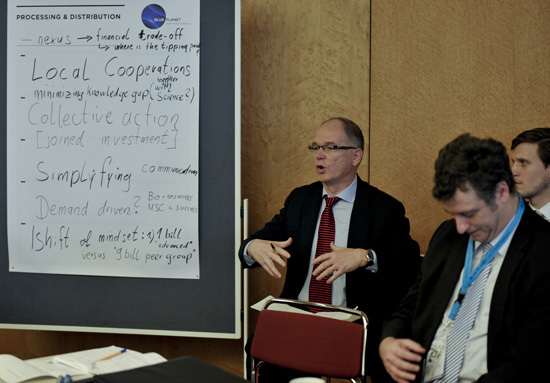 The two main subjects of the Berlin Water Dialogues 2012 were “A holistic view on water in the food supply-chain” and ” Water use & water allocation – competing sectors and interests “. 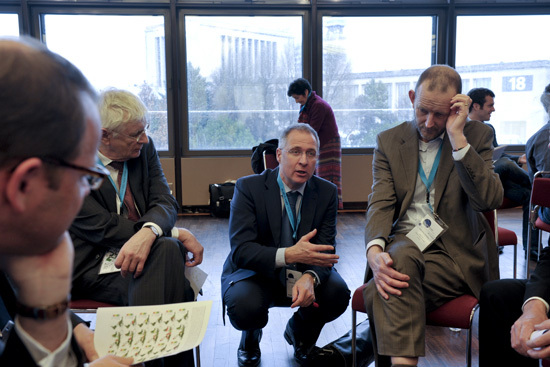 Among other things the participants in the discussion examined the correlations or connections between the water resources and the safeguarding of food production from different perspectives. 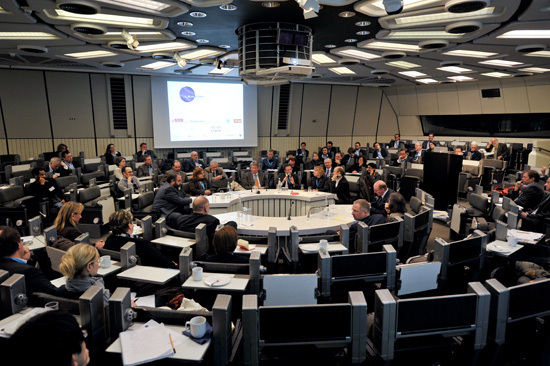 International experts from industry and science, research, institutions and professional associations contributed their knowledge and experience. Keynote addresses and political reports completed the concrete results of the day that were achieved in and presented by the participants in the workshops and working groups. These results provided the basis of the following discussions.